In queste pagine sono presentati alcuni dei libri recentemente acquisiti, con l'abstract nella lingua in cui sono stati pubblicati. 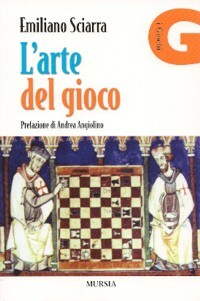 Il catalogo bibliografico completo è invece presente nella colonna del menu, a sinistra. 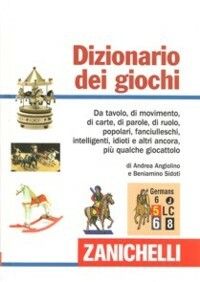 Il Dizionario dei giochi riunisce per la prima volta migliaia di definizioni precise e documentate, ma anche divertenti, che spaziano dai giochi di carte a quelli da tavolo, dall’enigmistica al gioco d’azzardo, dal gioco popolare a quello commerciale, con incursioni nella storia delle parole e nel mondo del giocattolo, del videogioco e degli sport meno famosi. Il volume illustra numerosi schemi, regole e varianti, con esempi che insegnano a giocare in svariati modi e situazioni. È un’opera adatta all’esperto e al neofita, un prontuario per riconoscere i giochi misteriosi trovati in negozi specializzati, soffitte, musei, romanzi o film, per ritrovare i giocattoli dell’infanzia e per comprendere metafore e modi di dire ludici ormai entrati nel linguaggio quotidiano. • che cos'è il gioco? • qual è il suo significato? • come si è evoluto? Dai dadi alle carte, dal Domino agli Scacchi, dal Monopoly al Trivial Pursuit, da Tomb Raider a Dungeons & Dragons, il gioco ha assunto diverse sfaccettature nel corso dei secoli: prima era qualcosa di legato al sacro, poi una sofisticata perdita di tempo, quindi un mezzo per educare e infine una vera e propria forma d'arte. Attraverso riferimenti letterari, culturali e dottrinali, Emiliano Sciarra fornisce una definizione di gioco, ripercorre la sua storia, classifica le sue diverse tipologie e precisa il significato dei termini tecnici più specifici. Puzzle Wright Press/Sterling, New York, 2010, X-262p. Fun to play on the board or on the computer, Connect 4 has become a staple of the family game room, and this is the definitive book on the subject. 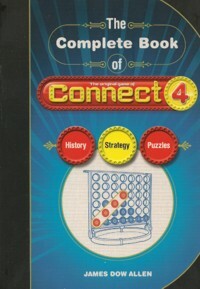 It tells all about how Connect 4 came to be, offers game-enhancing strategies from a puzzle expert, and provides actual examples so solvers can test themselves on what they’ve learned along the way. By the time players finish this complete guide, they’ll be lean, mean, disc-dropping machines, ready for Connect 4 success! Berg International, Paris, 2010, 255p. Le Symbolisme des jeux de Jean-Marie Lhôte était depuis longtemps introuvable. Cette édition reprend fidèlement le texte paru en 1976 aux éditions Berg International. En particulier, le texte d’origine étant rédigé à la première personne, cette singularité a été conservée, comme si le “jeu” était aussi le “je”. Le mot “symbolisme” est à prendre ici au sens large, avec légèreté; les jeux sont regardés avec sympathie, analysés dans leurs formes, comparés entre eux et mis en résonance entre l’homme et le monde. 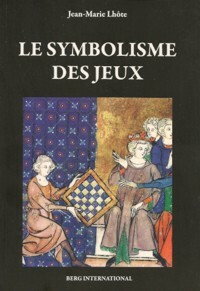 • l’ordre du monde: jeux considérés selon la forme de leurs supports dans l’affrontement et la compétition; • le sort des rêves: jeux le plus souvent soumis au hasard, ouverts parfois sur la divination; • le plaisir d’être ensemble: jeux de masques et d’illusion en relation avec la fête; • la magie des objets: jouets enracinés dans le mystère des origines. Encadrant ce périple, une introduction L’espace croisé des jeux donne une idée de l’univers des jeux dans leur ensemble et une conclusion La mémoire des sources permet de se repérer dans le foisonnement des écrits antérieurs, à la fois populaires et savants. Le livre se termine avec une histoire où l’auteur se trouve confronté à un jeu secret, une curieuse énigme. American Library Association, Chicago, 2010, VIII-134p. • strategies for program development and implementation. From promoting the idea to teachers and administrators to aligning specific games to state and national education standards, this book will help you build a strong collection that speaks to enhanced learning and social development and is just plain fun. Rowman & Littlefield Education, Plymouth, UK, 2009, VIII-223p. A Board Game Education is an entertaining and valuable resource for parents, teachers, educators, and anyone who appreciates the fun and entertainment provided by classic, traditional board games. 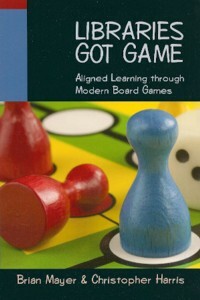 The book provides an informative analysis of how classic board games that everyone has played—and probably owns—are not only great family entertainment but also develop core educational skills that have been proven to lead to academic achievement. Through A Board Game Education readers learn a bit of the fascinating history trivia and little-known facts regarding the most loved board games of all time (i.e., how Monopoly was used by WWII POWs to escape). 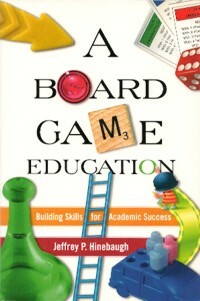 At the same time, Hinebaugh identifies the distinct educational skills developed by each of these games and explores in detail how the play of these games cultivates such skills. A Board Game Education also provides valuable suggestions about how to modify and vary these classic board games to specifically enhance additional core educational skills and concepts. Who would have thought that Candy Land could be modified into a strategy game and Chutes and Ladders could be used to teach algebraic equations and advanced math. Sage, Thousand Oaks, USA, 2009, XL-980p. The Encyclopedia of Play: A Social History explores the concept of play in history and modern society in the United States and internationally. Its scope encompasses leisure and recreation activities of children as well as adults throughout the ages, from dice games in the Roman empire to video games today. As an academic social history, it includes the perspectives of several curricular disciplines, from sociology to child psychology, from lifestyle history to social epidemiology. 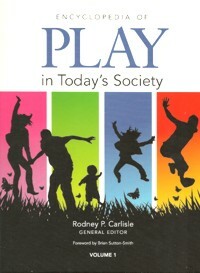 This two-volume set will serve as a general, non-technical resource for students in education and human development, health and sports psychology, leisure and recreation studies and kinesiology, history, and other social sciences to understand the importance of play as it has developed globally throughout history and to appreciate the affects of play on child and adult development, particularly on health, creativity, and imagination. • back matter includes: a Glossary; a Resource Guide of books, journals, and websites on play; an Appendix of tables and statistics (e.g., hours of leisure time per week in various countries, breakdown of activities by gender, leisure and sports activities by age group, spending on recreation per capita, vacation days around the world, etc. ); and a detailed Index.